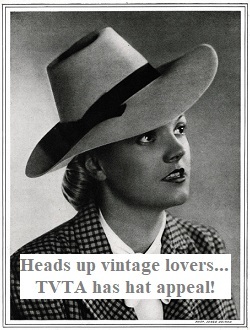 Welcome to part 5 of TVTA’s series Never Mind The Adverts. 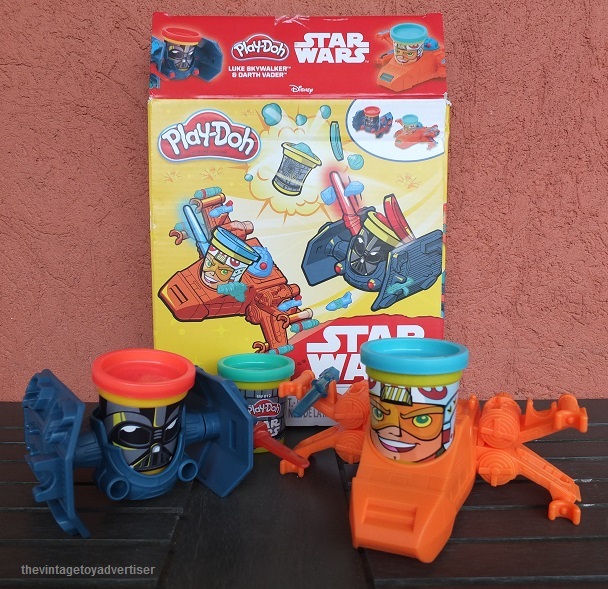 In this edition we focus on a mixed selection of toys and games both vintage and new. 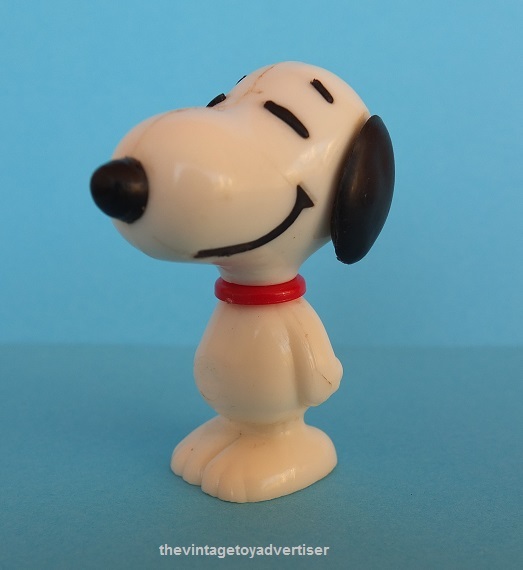 First up is this plastic Snoopy figurine stamped United Feature Syndicate Inc. 1958 1966. 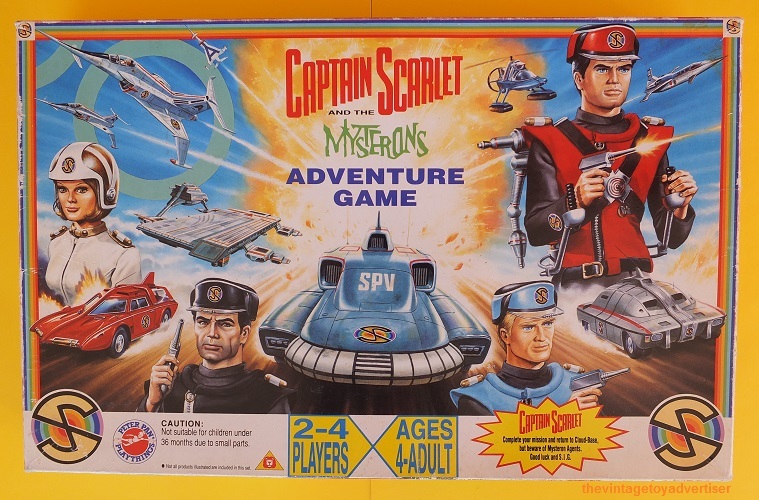 Next is this Captain Scarlet & The Mysterons adventure board game made by Peter Pan Playthings in 1993. 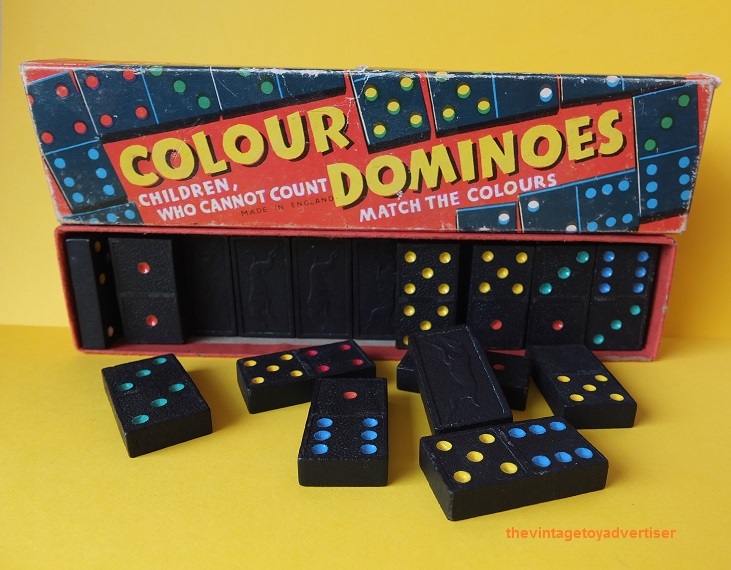 Colour Dominoes circa 1980. Made by Spear’s Games. 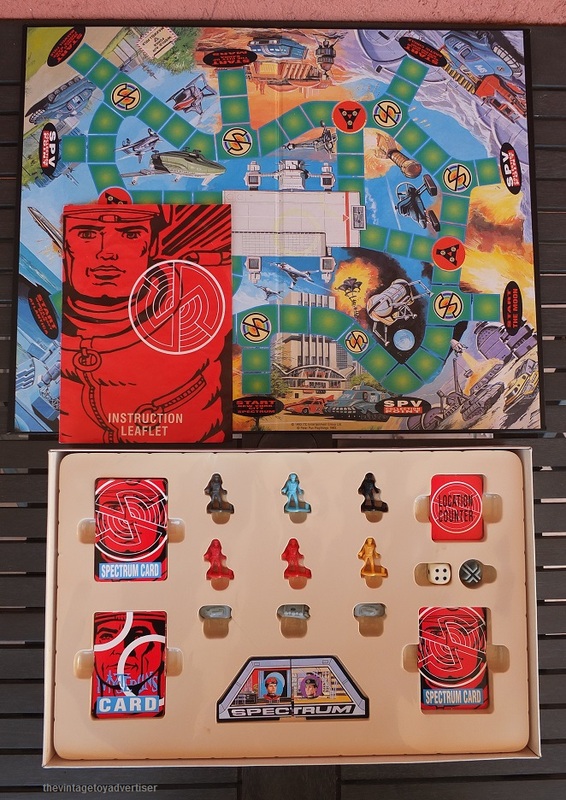 1979 Mastermind made by Invicta Games. 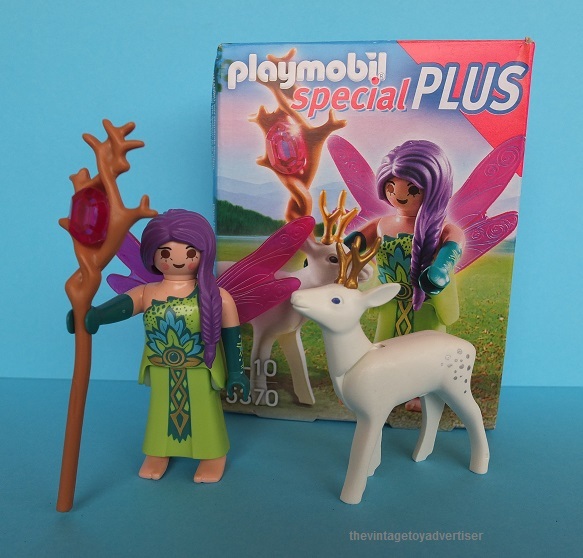 Next is a 2016 Playmobil Special Plus set that came free with a promotional offer from Prince biscuits in France. 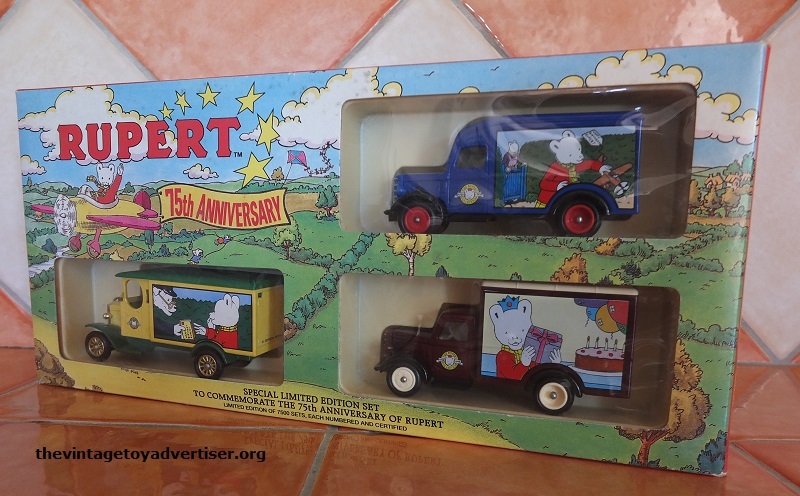 1995 Rupert 75th anniversary die cast and plastic vans set from Lledo. 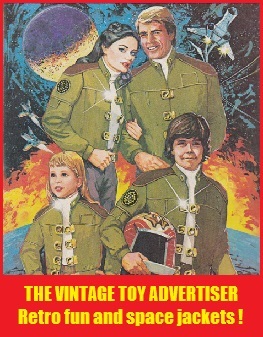 Join us again soon for another Never Mind The Adverts! This entry was posted in Never Mind The Adverts... and tagged 1979 Mastermind Invicta games, Captain Scarlet adventure board game, Colour Dominoes Spear's Games, Never mind the adverts here are the toys, nostalgia, Playmobil Prince biscuits offer, retro toys, Rupert Bear Lledo 75th anniversary vans, Snoopy United Feature Syndicate, Star Wars Play Doh X Wing and Tie Fighter, vintage toys on January 4, 2017 by The Vintage Toy Advertiser. That Mastermind game box brought back so many memories! 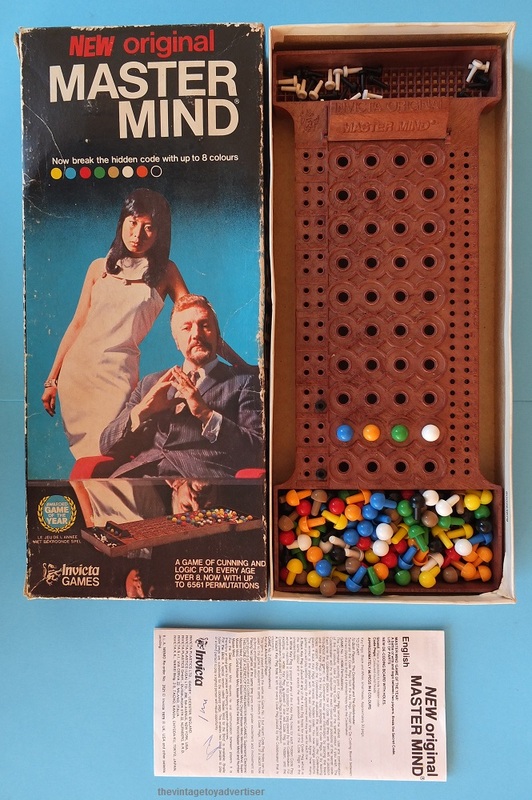 I had completely forgotten that my parents had that exact box in our game closet. 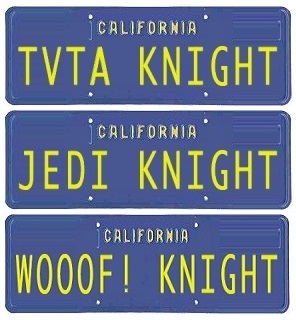 It seems to have been one of those games that was a hit the world over. 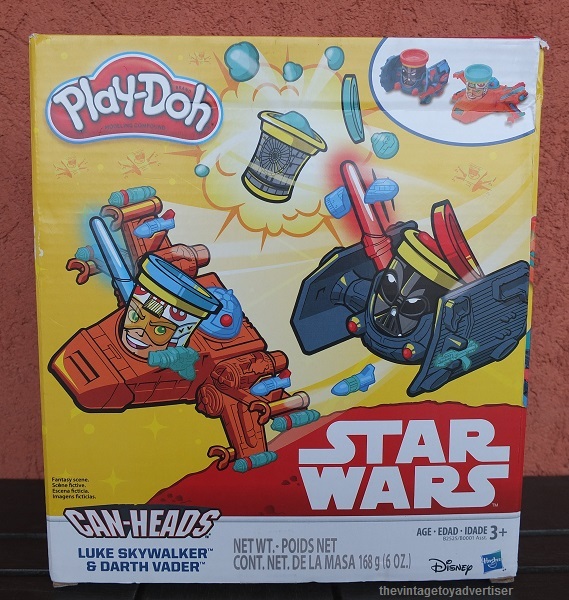 I fetched it out of a storage box this Christmas and we added it to the round of family games.